The salary of certified nursing assistants depends on several factors, like education, experience, employer, location, etc. As per the reports provided by indeed.com, in December 2014, the average CNA salary in Arizona was $20,000. The average pay of these professionals for job postings in the state was 18% lower as compared to the average CNA salaries for job postings all over the country. According to the Bureau of Labor Statistics, the mean wages of nurse aides in May 2013 were $27,890 per annum, and $13.41 per hour. In the same year, Arizona offered employment to 15,380 CNAs. The employment per 1,000 jobs was estimated to be approximately 6.21. 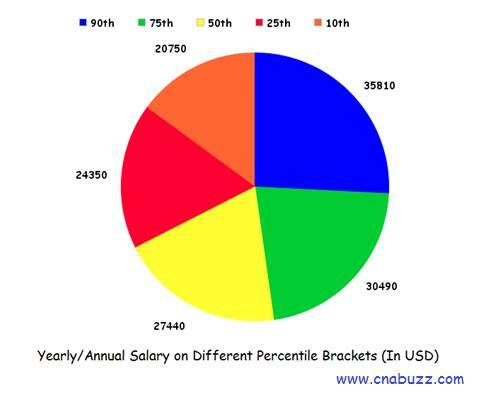 The following table reveals the annual wages of CNAs on different percentile brackets. The income of certified nurse assistants varies at each percentile. 90% of certified nurse assistants made less than $35,810, while 10% made more than $35,810. 75% of CNAs earned less than $30,490; the remaining 25% earned more than $30,490. 50% of the employees were remunerated with less than $27,440; the rest of 50% were remunerated with more than $27,440. 25% of CNAs were paid less than $24,350; 75% were paid more than $24,350. 10% of employees were offered less than $20,750; 90% were offered more than $20,750. The geographical location of CNAs majorly affects their salary. Therefore, the amount offered to these nurses varies in different cities of Arizona. As per the figures provided by salary.com, Yuma paid highest salary to the nursing assistants. It paid annual median salary of $31,432, and median monthly salary of $2,619. In maximum number of cities, certified nurse aides earned similar hourly wages, i.e., $14. Sierra Vista was reported to be the lowest paying city in the state with median annual and hourly salaries of $23,272 and $11, respectively. In the health care sector, a nursing assistant is compensated as per his/her position. The higher your designation, the more will be your responsibilities. CNA Hospice earned handsome income of $26,000 in December 2014. Correctional Prison Facility CNA was the lowest paid professionals with the salary of $12,000 per annum. The pay of nurse aides holding other job titles in the state of Arizona varied from $13,000 to $24,000. There are numerous privileges and benefits associated with the job profile of a certified nursing assistant. We’ve listed a few benefits here. Overall, the job outlook for nursing assistants is pretty decent in the state of Arizona. According to the BLS reports, you may expect an increase of 21% in this profession between 2012 and 2022. The chances of getting recruited can be increased by obtaining certification, and pursuing higher education. Question 1 – What are the best paying nursing assistant job titles in Alabama? Answer – CNA Hospice (according to indeed.com, as of December 2014) is the topmost paying job title in the state, with the annual income of $26K. 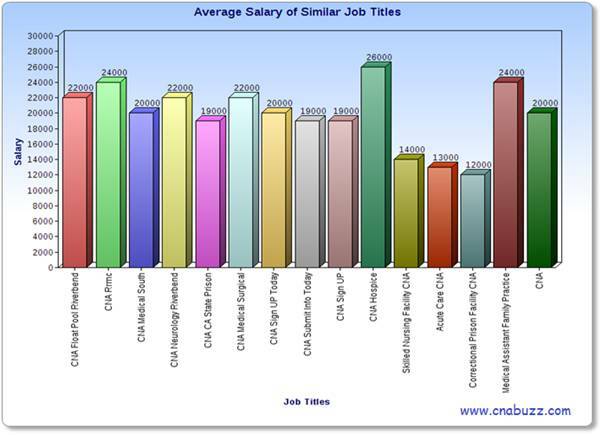 Question 2 – What average salary a CNA can expect in the state? Answer – According to the reports provided by indeed.com (as of December 2014), CNAs can expect an average salary of $20K per annum.